Apparently James Bond is an alcoholic and fun is to be banned for the under 14’s. Thought I’d share a couple of this morning’s news items with you. 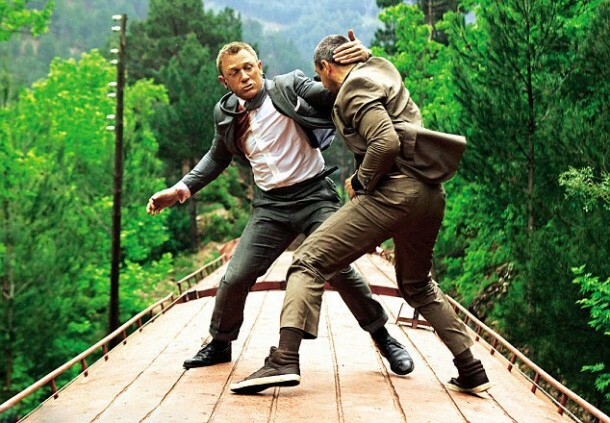 The first concerns James Bond and a team of medical researchers from Nottingham University. During six months of intensive study, two medics have had to read all Ian Fleming’s novels about the British agent and record every time 007 takes a swig from a cocktail glass. I’m sure we have been waiting for this evidence for decades: James Bond is a drunkard. And what’s more, his drinking habits are so out of control that, conclude our intrepid researchers, in no way would he be able to perform the feats of heroism outlined in each and every story. This could have serious consequences for MI6’s recruitment drive. Hopeful young wannabe spies will be disappointed to learn it’s not all about swanning around in tuxedos quaffing a never ending supply of martini and green olives. What I’d like to know is this. Who paid for this crucial research and when will they be ruining the fantasy further by analysing 007’s ability to stand upright on a fast moving express train? Perhaps when they have finished with 007 they could turn their attention to Superman. I have always wondered how Clark Kent manages to change so quickly within the confines of a telephone box. Every sane person knows it is impossible to put on a pair of tights in an upright position. To be honest I’m shaken and visibly stirred. The second news item that caught my attention (and which, I might add, made me late for work) was the notion that all contact sports (including football, rugby and hockey) should be banned for children under the age of fourteen. In case they become concussed. Now, while I am well aware that any head injury is potentially dangerous how can anyone in their right mind (or possibly concussed one?) think that a complete ban is the answer? As long as correct emergency procedures are followed in the event of an accident, are we no longer covered in this overly cautious society we are living in? Tell you what, why don’t we all just keep our infants strapped into their car seats, stick them in front of a screen, supply them with a handset, wire them up to a pure oxygen supply and leave them there till they’re teenagers. It’s what they’ll be doing from thereon in anyway. Might as well give them a head start.